W/Tech trim. Superb Condition, Acura Certified, LOW MILES - 33,985! FUEL EFFICIENT 26 MPG Hwy/18 MPG City! Moonroof, Third Row Seat, Heated Leather Seats, Power Liftgate, All Wheel Drive, Aluminum Wheels. Leather Seats, Third Row Seat, Sunroof, All Wheel Drive, Power Liftgate. Rear Spoiler, MP3 Player, Keyless Entry, Remote Trunk Release, Privacy Glass. Acura w/Tech with White Diamond Pearl exterior and Eucalyptus interior features a V6 Cylinder Engine with 290 HP at 6200 RPM*. Edmunds.com explains Interior storage is excellent, with big cupholders and door bins, plus a deep center bin that can hold a small purse or tablet.. Great Gas Mileage: 26 MPG Hwy. Our reputation of excellence in both sales and service is what keeps us in business for over 24 years we have never been undersold and no price is too competitive. Contact dealer to confirm vehicle availability, details, and pricing. Upon visit to dealer you should verify all of the features, equipment, and options on this vehicle. Must present a printout of this ad to receive this offer. All advertised prices EXCLUDE sales tax, registration fees, other tax required by law, dealer documentation fee, and a pre-delivery service inspection fee of $1,295. To qualify for internet pricing, you must present a copy of this ad upon dealership arrival. Any internet advertised price presented after a completed sale, will not qualify for the vehicle purchase. While every reasonable effort is made to ensure accuracy of this information, we are not responsible for any errors or omissions contained on these pages. All vehicles are subject to prior sale. All vehicles sold cosmetically as is. Pictures are illustrative only. Vehicles shown may not be actual model/year advertised. Above features, options, and equipment are descriptive of what is available on this vehicle. However, it may not be included. Upon arrival to dealer it is customer obligation to verify all equipment prior to purchase. All vehicles respective to options and equipment are sold as is. Dealer makes no other representation unless it is specifically stated and signed by management on the customer retail order. Great place. Jimmy and Edwin are the best!! Best experience ever buying a car!! I loved my experience at this dealership. One of a kind ! Who thought car shopping was so easy and fun ! Jimmy and Andres were tremendous help! I love my new car, thank you guys a lot ! Edwin was a fantastic salesperson. Got me the car I wanted at a great deal. Definitely will work with him again. 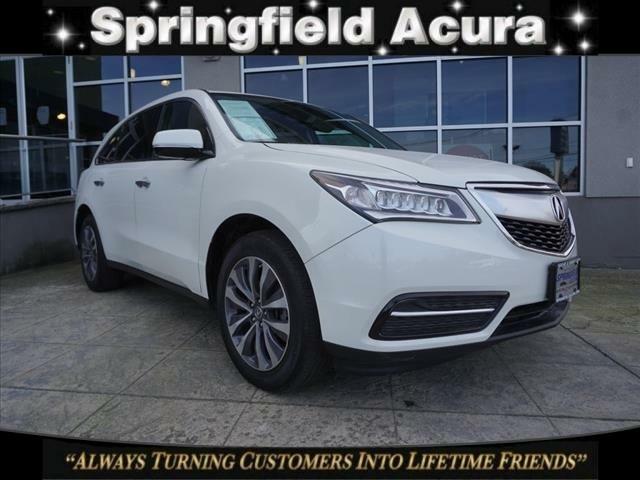 My wife and I went to Springfield Acura and was very impressed by how professional everyone was from the finance to sales department. Our salesman, Felipe was very knowledgeable about the products, a gentlemen and helpful. It was a pleasure buying my MDX all around. I could not be more pleased with my experience at Springfield Acura! My salesperson, Mary Smink, was extremely helpful, patient and genuine! I really appreciated that Mary was not aggressive and pushy as so many salespeople are. 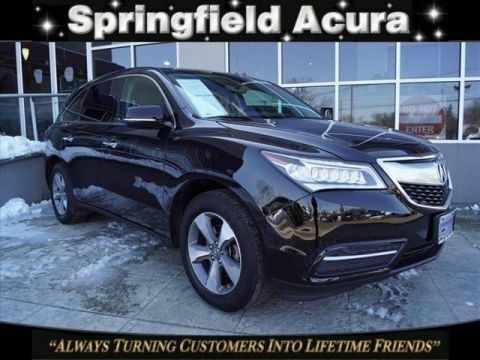 :) I purchased a pre-owned car at an amazing value and will definitely be back to purchase my next vehicle from Mary and the Springfield Acura team as well! This is my second time leasing a car with Carlos Lasso and the experience was even better than the last. He's personable, thorough, and knows his stuff. He was very accommodating to my needs and was able to get me a great deal. Will come back to Carlos for my next Acura as well. 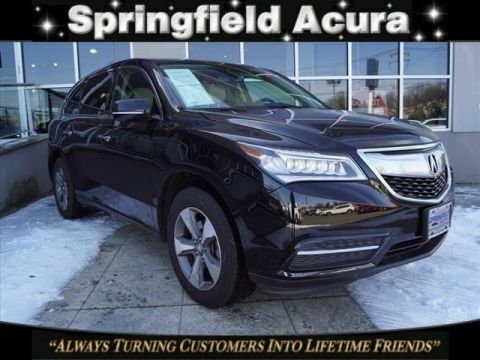 Welcome to Springfield Acura where we are “Always turning customers into lifetime friends”, your premier Acura Dealership in Springfield, New Jersey (NJ). 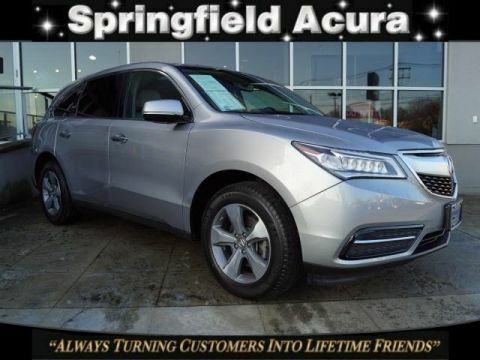 We have a wide selection of new Acura cars and SUV’s such as the ILX, TLX, RLX, MDX, and RDX available to choose from. Our friendly and knowledgeable sales staff will work to provide you with exceptional customer service each and every time you visit the dealership. When you’ve found your perfect car, our Finance team can work with good credit, bad credit, no credit, to try and find an option that works best for you. We also carry a wide variety of quality used cars that you will find at a competitive price, if at any time you find a car you like, call our team at (973) 912-9000 and we can schedule a test drive.